This past Motzoei Shabbos, close to 150 members of the greater Phoenix Community gathered together to celebrate the completion of maseches Shabbos and the commencement of maseches Eruvin by those who participate in the community-wide Daf Yomi shiurim. 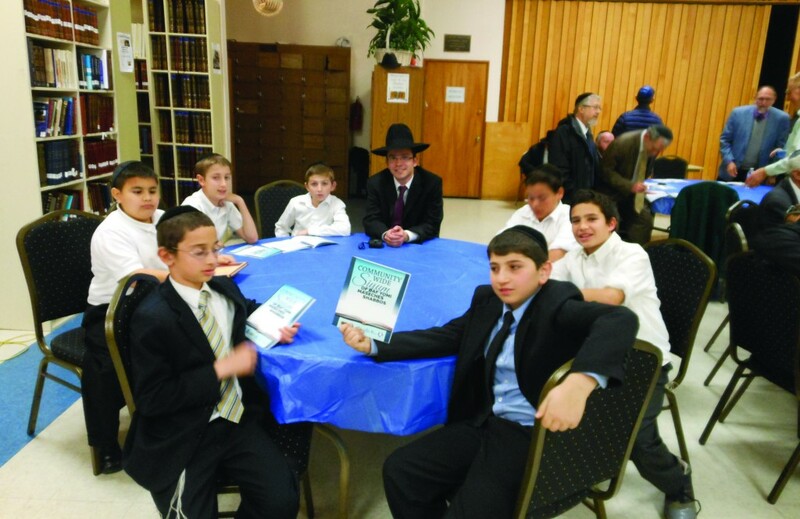 The siyum was held in Phoenix Hebrew Academy with the joint participation of Beth Joseph Congregation, Young Israel of Phoenix, Phoenix Community Kollel, Ohr HaTorah Congregation, and Congregation Ahavas Torah of Scottsdale. Rabbi Aryeh Bleeman of Phoenix Hebrew Academy enjoying the celebration together with his sixth-grade students at the Academy. This article appeared in print on page 1 of the March 11th, 2013 edition of Hamodia.